Have you ever woken up and been in a good mood only to walk into the kitchen or living room and start to stress out? Dishes in the sink, toys, blankets, and food all over in places that they shouldn’t be? 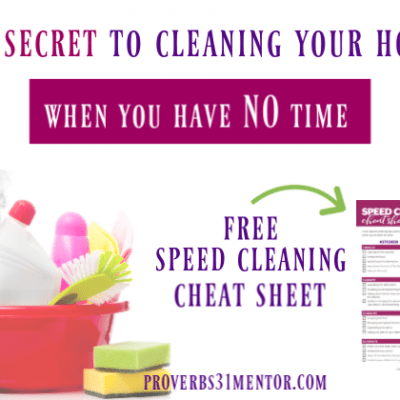 It’s been said a clean house is equated to a clear head. I know for me when my home is clean, I just feel better and can do some of the things I enjoy doing, rather than feeling like a slave to my chores. 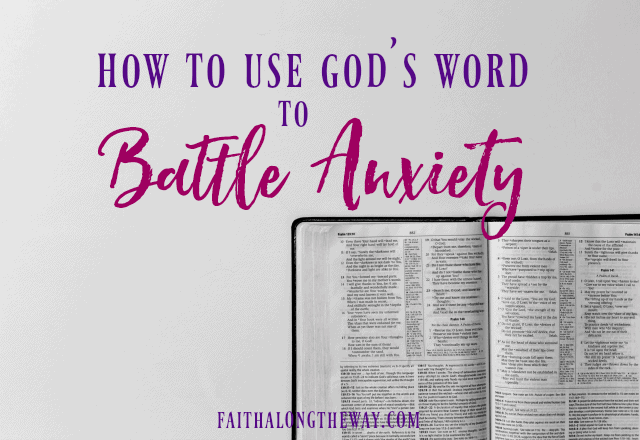 Here’s the deal: when someone deals with heightened anxiety in life, you’re already weary, preoccupied, and at your wit’s end dealing with the normal parts of life, and a mess at home can make you feel like you’re drowning. If I just set out to do it, it takes less time and stressed about nothing, really. During seasons of feeling anxious, it’s hard enough to get through the day without having to deal with my home. Even if a few things were out of order, it would launch me into the tirade that everything was falling apart. A few socks and empty plates in the bedroom, and suddenly, I’m the worst mom and wife there was. 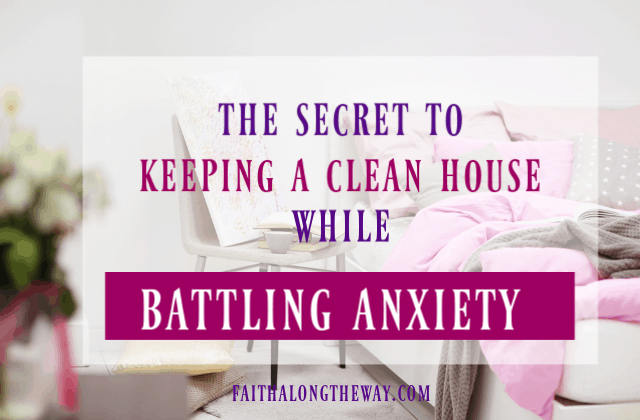 I couldn’t battle clutter and anxiety at the same time! For many of us, not only do we deal with anxiety, but some perfectionism might be thrown in there for good measure. So even if a friend was to come to our home and say how clean and neat it is, we can’t see past it because our home isn’t perfect in our minds. So we put even more stress and expectations on ourselves to have everything orderly and in the correct place. We forget about the word grace and how to cover ourselves with it especially during those most anxious times. I don’t know about you, but my house would be so much easier to keep organized and clean if I didn’t have so much stuff. There’s a vicious cycle happening for many of us when it comes to our homes. Clutter triggers anxiety and anxiety triggers clutter, but God’s grace conquers all! 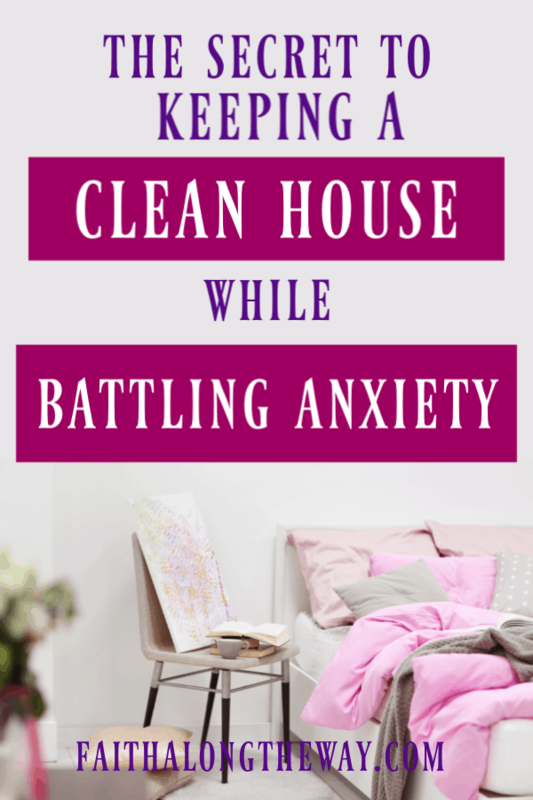 When we’re anxious we can’t focus, and we’re preoccupied by the off feelings and symptoms of anxiety that we can’t get it all done in our home, but then the clutter and misplaced objects lying around causes us more anxiety. It’s a negative train that is hard to get off of. Once again, I remind us to apply grace to the situation. What is truly important? Once we let our anxiety run its course, we can again return to the clutter. 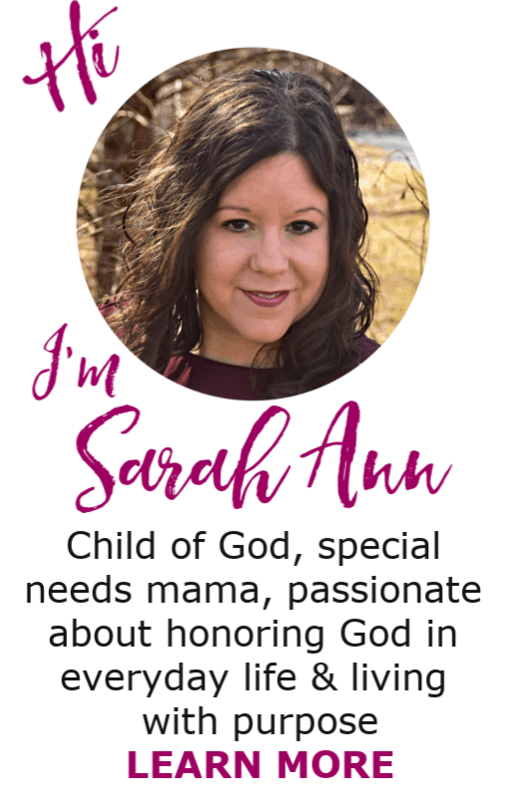 Being a Christian woman, where I put my focus really dictates how every day will turn out. It’s especially true during my anxious seasons. If I allow myself to focus on my issues and problems, I become stuck, and I’m really not able to accomplish much during the day. When I read about Martha in the Bible, I want to nudge her and remind her who was sitting in her house. She was so busy trying to get everything done. She lost her focus and was overwhelmed and stressed out. Where was Martha’s focus? It was on everything except Jesus. We can understand why she was anxious and stressed. I’ve definitely been a Martha more than I’d like to admit. Begin each day with the Lord. 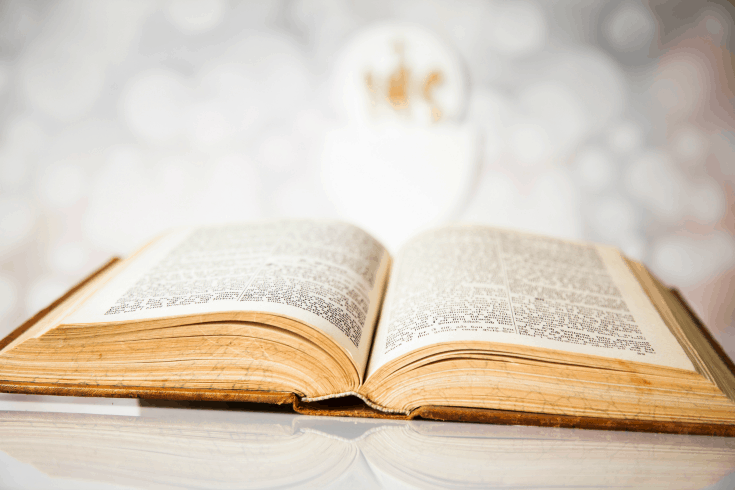 Nothing can calm an anxious soul like the Lord’s word can. Drop the perfection. Only Jesus is truly perfect. Pay attention to the things that need to be done every day and try and accomplish that. 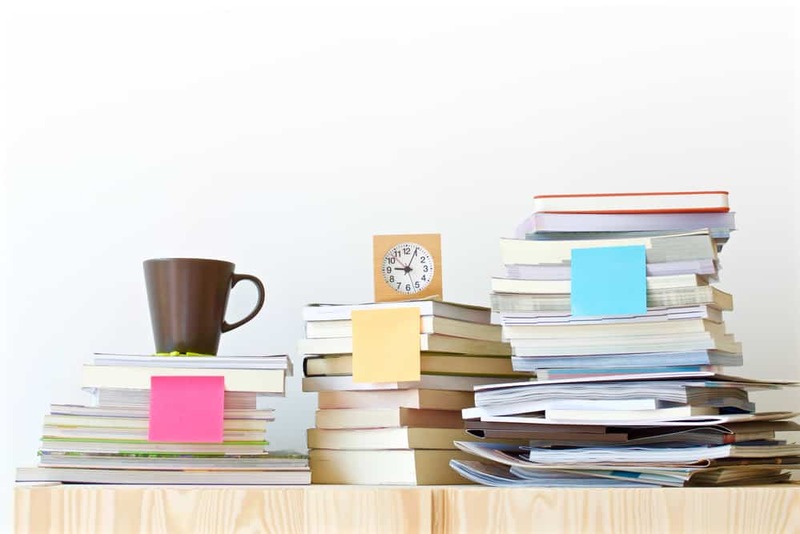 If you can’t break from perfection, de-clutter so it’s easier to keep up with everything. Figure out what needs to be done and what extras you can fit in. 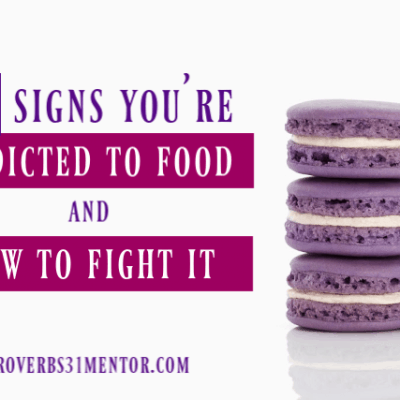 Apply grace repeatedly when anxiety is heightened and you can’t get it all done. Keep the right perspective. What truly matters in this life? Work smarter not harder. If you know a certain day with demands and appointments will cause more stress, lessen your load for the day. 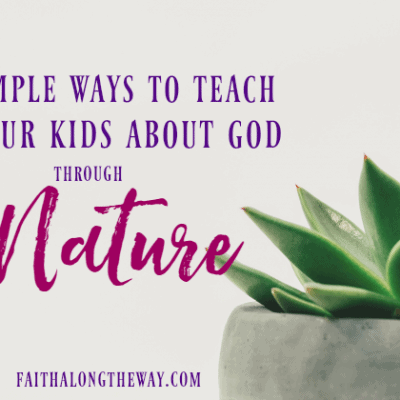 While God wants us to care for what He has given us and to serve those in our homes, He doesn’t want us to do it with a spirit of stress and overwhelm. 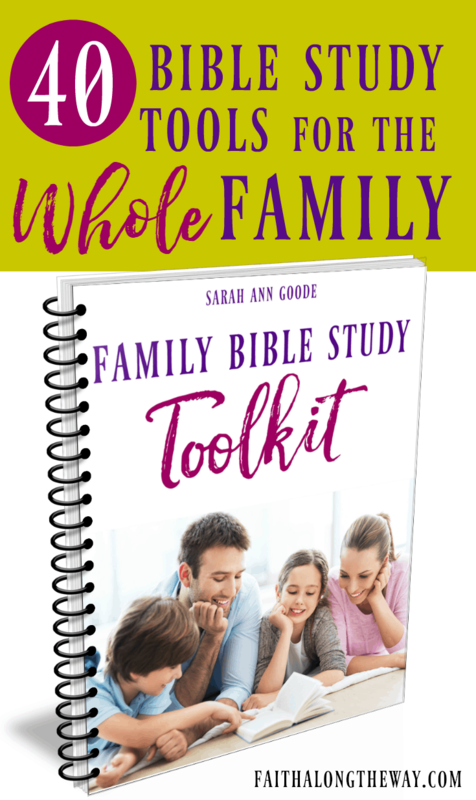 Where we place our focus is the most important thing we can do when we’re struggling with our homes, our schedules and keeping up with it all. Mary chose Jesus amidst the things that needed to be done, whereas Martha focused on the stress and tension. When we focus on Jesus, that peace that He gives us won’t be taken from us. This directed focus on Jesus is where we find freedom and comfort no matter what is happening in our homes or lives! 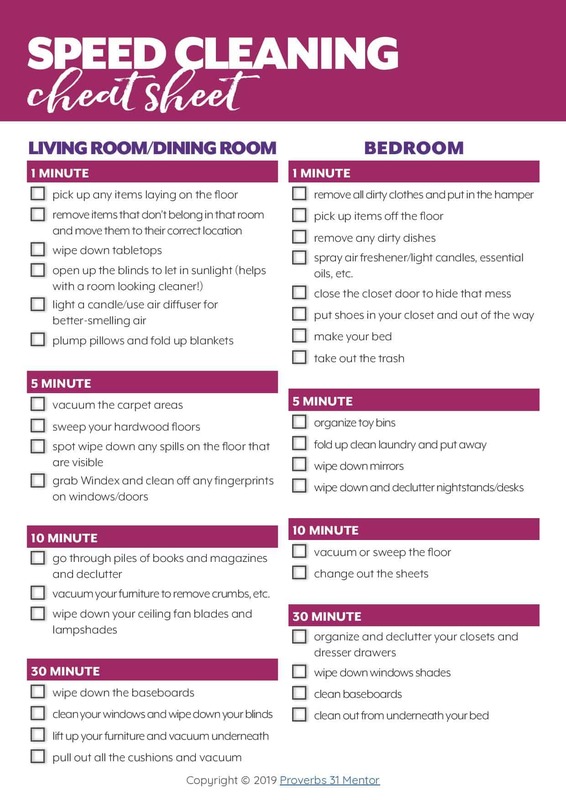 What are your favorite ways to keep a clean home when feeling anxious?